Dances – classic to folk – are the focus of pianist Yoko Sata Kothari‘s concert at 7:30 p.m. Saturday at Atlantic Music Center, 25 S. Wickham Road, Melbourne. Kothari and the keyboard are old friends. By age 8, she had already nabbed first prize in Northern Japan’s Classical Piano Competition. She has continued with a winning streak that includes the Bradshaw and Buono International Piano Competition in New York. A familiar concert figure in Palm Beach County, she has performed with the Boca String Quartet and the Trillium Piano Trio. The program includes mazurkas by Chopan, Stravinsky’s Petrouchka Suite and Suite for Piano, Op. 90, by Saint-Saens. The Lake Park resident and Tokyo native is a familiar concert figure in Palm Beach County, where she plays solo concerts, anchors the Trillium Piano Trio and operates a music studio with her husband, guitarist Dilip Kothari. For her concert this weekend, Yoko Kothari will play works by French and Russian composers. Transcriptions of Gabriel Faure’s Pavane and Sicilienne will share the French part of the program with four etudes by Camille Saint-Saens (from his Op. 111). She’ll follow that with the Toccata (Op. 11) of Sergei Prokofiev and the 1931 revision of Rachmaninov’s Sonata No. 2 (in B-flat minor, Op. 35). She’s chosen the shorter, leaner version of the sonata for the Norton program, which will run about an hour. The concert in the museum’s auditorium begins at 3 p.m. and admission is $5. Entrance to the museum is $12. Tickets for the concert are available at the Visitor Services Desk. Born in Japan, Yoko Kothari is a piano soloist, chamber musician, two-time recording artist and teacher. Last month, she won honorable mention at the 10-day Ibla International Piano Competition in Sicily. She was recognized for her exceptional performance of Bartok, a composer whose works have won her prizes on two continents. 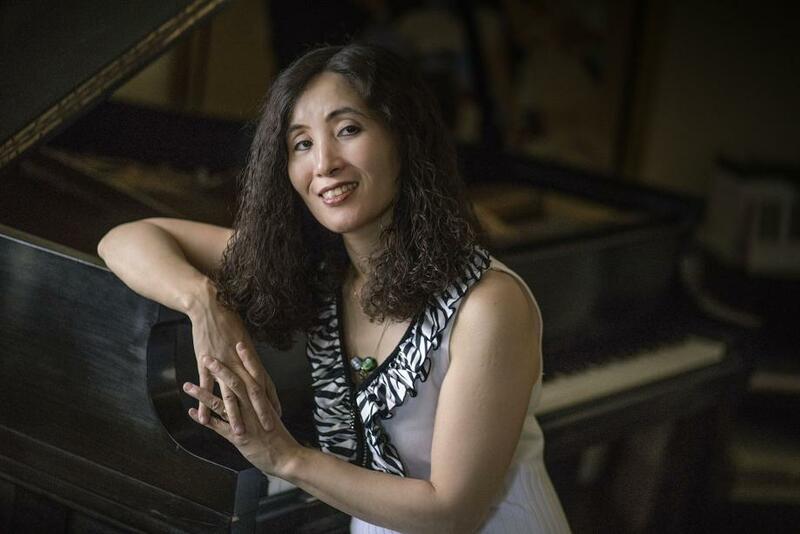 After additional performances around Sicily, the Japanese-born pianist returned home to North Palm Beach to begin rehearsals with her chamber ensemble, the Trillium Piano Trio (piano, violin and cello). That’s when summer caught up with them. The trio performs next on the St. Paul Music Series on Sept. 30. The Saint Paul’s Episcopal Church hosts a final concert featuring Trillium Piano Trio (Yoko Sata Kothari, piano; Suzanne Walter-Geissler, violin; Benjamin Salsbury, cello) for an 18th season of “Music at St. Paul’s” at 4 p.m. on Sunday at Saint Paul’s Episcopal Church, 188 Swinton Ave. in Delray Beach.